INSTEAD of going for tried and tested former Ginebra import in Vernon Macklin, Mahindra will parade young, athletic Georgia Tech alum James White as reinforcement for the season-ending Governors Cup. Listed at 6-8, White is said to be a versatile big man who can play inside and outside. 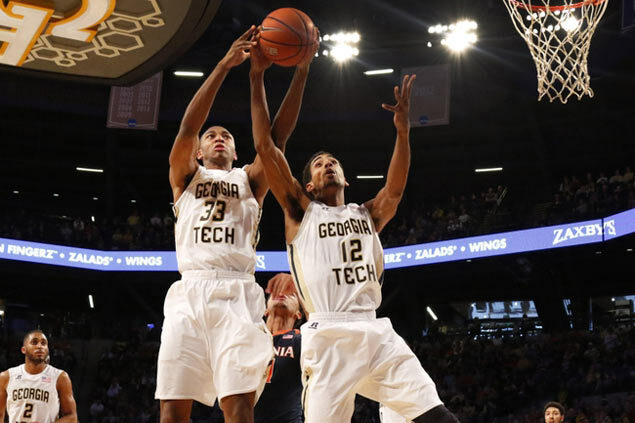 He moved from the Arkansas-Little Rock Trojans to Georgia Tech, where he averaged 9.6 points and 5 rebounds per game. White could have been a teammate of Pinoy amateur star Bobby Ray Parks had the son of the former PBA seven-time best import awardee decided to take up the Georgia Tech offer in 2010 prior to joining the National University Bulldogs in the UAAP. White was personally scouted and picked by Mahindra officials Bobby Rosales (basketball operations head), Eric Pineda (team manager) and Joe Lipa (consultant), who all flew all the way to Indiana to search for a reinforcement. Before flying to the US, the Mahindra officials had been negotiating with the local agent of Macklin. But talks eventually broke down over financial aspects of the deal, according to a Mahindra insider. News of White's signing was already relayed to the team during practice on Saturday. In its two seasons in the PBA, the Columbian Autocar Corporation franchise has paraded impressive imports like PJ Ramos, Hamady N’Diaye and Augustus Gilchrist. Meanwhile, Mahindra is also currently negotiating with a 6-3 Iranian wingman as a possible Asian import in the league's final conference of the season.